"Come home to your 55+ home! 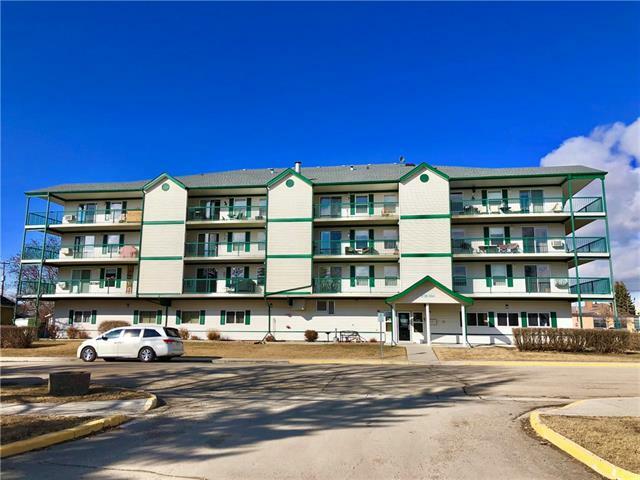 You will love the location of this building, located close to the downtown sector of Olds. Main floor of building is dedicated to a social room, either entertain family or socialize with the other building residents. You will find a 2pc bath, and access to yet another social area -perfect for building puzzles or reading books. Main floor garage has one parking space assigned to our condo, and also gives access to the work shop, which is handy for using your tools for creative projects. A short elevator ride up, you will find our listed condo. Enjoy your morning coffee on the outside deck (comes with separate storage) watching the sun rise in the east. Kitchen/living/dining boast an open concept, and are the perfect space to host family gatherings. Master bedroom will fit all your furniture, and also contains a 3pc ensuite. Bedroom 2 is a great space for the extra bed or den that you have downsized to. 4pc bath and a separate laundry room located in suite finish off our home."